Lisa E Design Blog: A Special Announcement! Why have I fallen in love with stencils? They are so versatile. I use them on all kinds of projects including my scrapbook pages. Stencils are inexpensive and take up almost no space. It isn't just the cost of our supplies but often the space that is an issue. I have all my stencils in one drawer with plenty of room leftover for more. Stencils are a stash stretcher. You can dust off those ink pads, mist bottles, paints, chalks and pretty much anything that creates color and really use your supplies in a fresh way. And the biggest reason I love working with stencils is they are FUN! 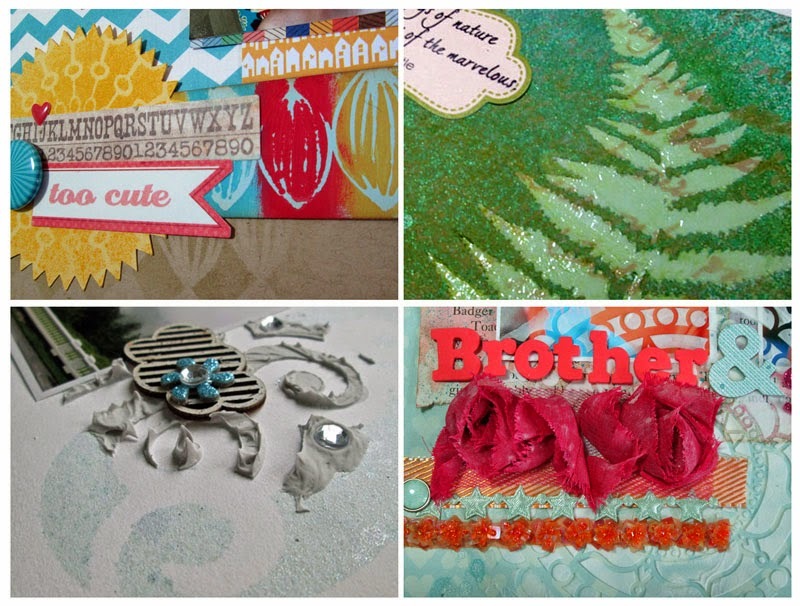 In this class, I'll show you how to use stencils on your scrapbook pages. We will create artistic pages. and regular multi-photo pages. They fit right in with all kinds of scrapping styles and add an extra layer of color and texture to your pages. settings for cutting your own stencils with a Cricut or Silhouette. The class is self-paced so you can watch the videos whenever you wish. I'll check the message board often for questions. I'm very excited about this class and I'm looking forward to next Monday! I hope you will be, too.